An online news publishing system that features easy installation, user submission, and an admin panel for adding, editing, and removing categories and news. 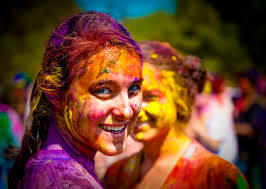 Holi or 'Phagwah' is the most colourful festival celebrated by followers of the Vedic Religion. It is celebrated as harvest festival as well as welcome-festival for the spring season in India. 'Phagwah' is derived from the name of the Hindu month 'Phalgun', because it is on the full moon in the month of Phalgun that Holi is celebrated. The month of Phalgun ushers India in Spring when seeds sprout, flowers bloom and the country rises from winter's slumber. 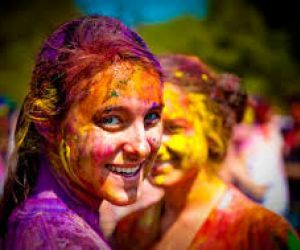 'Holi' comes from the word 'hola', meaning to offer oblation or prayer to the Almighty as Thanksgiving for good harvest. Holi is celebrated every year to remind people that those who love God shall be saved and they who torture the devotee of God shall be reduced to ashes a la the mythical character Holika. Holi is also associated with the Puranic story of Holika, the sister of demon-king Hiranyakashipu. The demon-king punished his son, Prahlad in a variety of ways to denounce Lord Narayana. He failed in all his attempts. Finally, he asked his sister Holika to take Prahlad in her lap and enter a blazing fire. Holika had a boon to remain unburned even inside fire. Holika did her brother's bidding. However, Holika's boon ended by this act of supreme sin against the Lord's devotee and was burnt to ashes. But Prahlad came out unharmed. » Not yet reviewed by any member. You can be the first one to write a review. » You must be logged in to post a comment.